U.S. District Court Judge John Sedwick on Thursday denied a request for a retrial in the corruption case against former Alaska Rep. Pete Kott. Jim Wendt, Kott's attorney, had asked Sedwick to reconsider Kott's Sept. 25th conviction on bribery, conspiracy, and extortion charges. Wendt was asking for either an acquittal or a retrial. 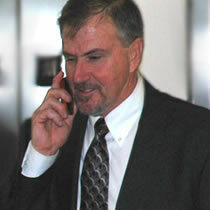 Kott's sentencing is December 7th, 2007.